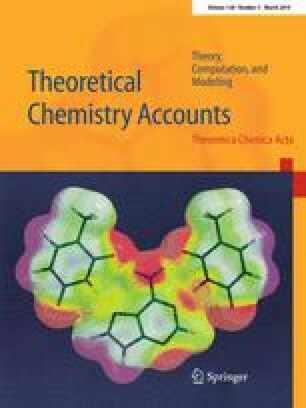 Most of the researches in supramolecular chemistry area are focused on the conventional hydrogen bonds without taking into account unconventional intermolecular interactions. The nature and strength of the conventional and unconventional interactions in inclusion complexes formed between neutral aspirin (ASA) and its deprotonated form (ASA−) with β-cyclodextrin (β-CD) have been studied. It was conducted through combining atoms in molecules (AIM) theoretical criteria suggested by Koch and Popelier and natural bond orbital (NBO) analyses by means of dispersion-corrected density functional theory (DFT-D3) with the functional B3LYP using cc-pvdz basis set in the gas phase. We have found five intermolecular closed-shell interaction groups responsible for neutral ASA:β-CD and deprotonated ASA−:β-CD inclusion complexes stability: One is conventional O–H···O bond group. The four C–H···O, C–H···C, O–H···H–C and C–H···H–C groups are nonconventional. Also, with respect to the Koch and Popelier criteria, some of them present the properties of a hydrogen bond, while others do not. The non-covalent interaction energies are calculated using Espinosa approach. Finally, according to the AIM and NBO analyses, the topological parameters (electron density ρb and its Laplacian ∇2ρb), estimated interaction energies (Eint), and the stabilization energy E(2) of both complexes were correlated with the intermolecular bond lengths. The online version of this article ( https://doi.org/10.1007/s00214-019-2429-y) contains supplementary material, which is available to authorized users. This study was supported by the Algerian Ministry of Higher Education and Scientific Research and the research center in industrial technologies, Algiers (Algeria). The authors acknowledge the department of chemistry at Guelma’s university where this work was performed. B.B also wishes to sincerely thank Pr Khatmi Djameleddine, for providing him the guidance throughout research works.